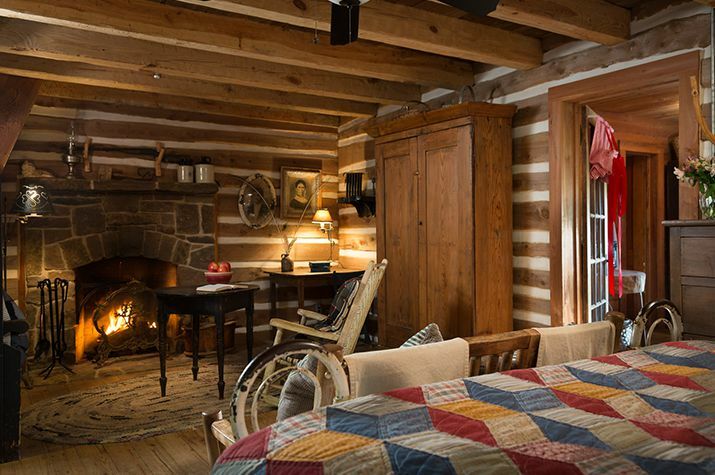 The 1800-style cedar Log Cabin is complete with wood-burning fireplace and antiques from the 19th Century. 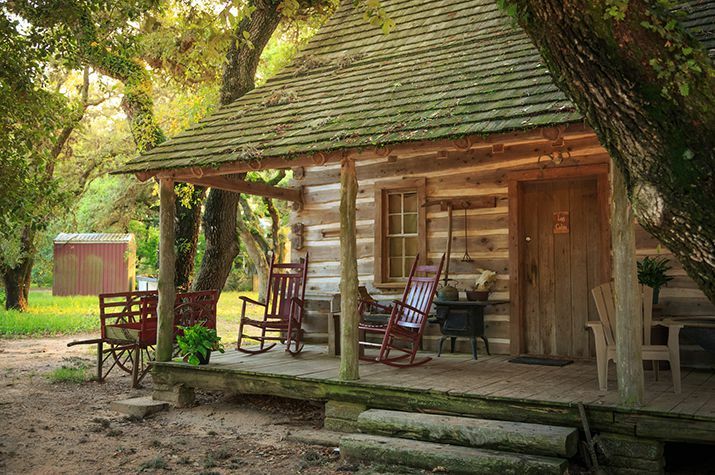 If you are looking for ranches near Houston, TX you have found it. 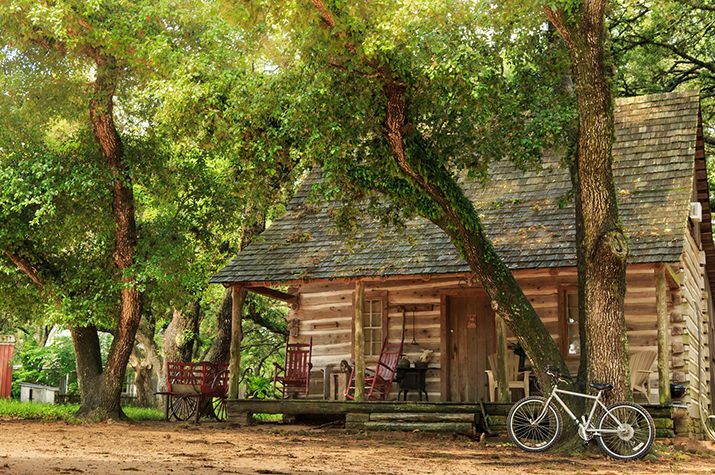 We provide a memorable getaway only one hour from Houston. 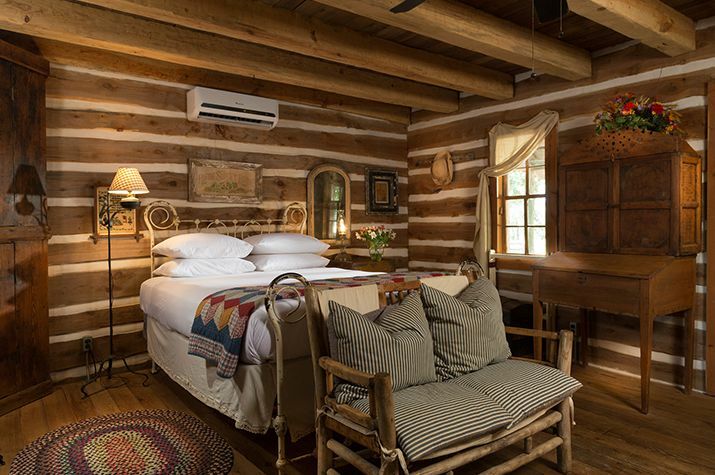 This Log Cabin on our ranch is a two-story cabin with a queen bed downstairs and two twin beds upstairs. 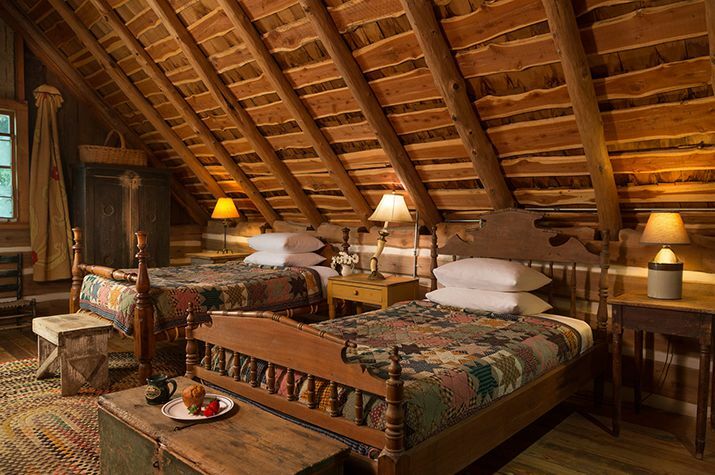 The staircase is steep, made in the style that is commensurate with its 1800’s era. 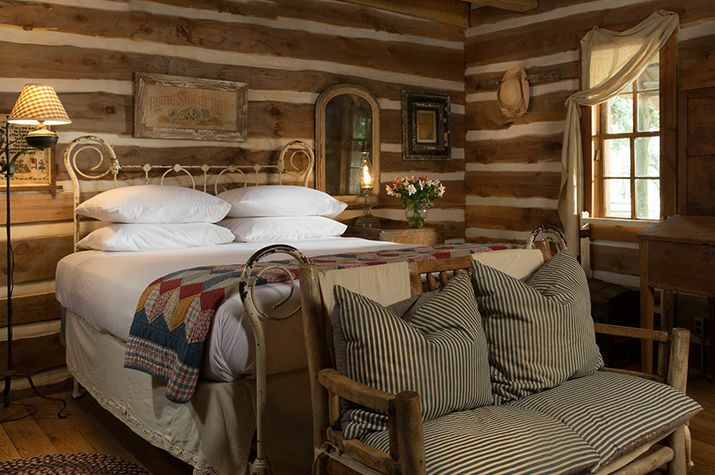 The bathroom features an antique claw-foot tub with antique hand-held telephone shower. 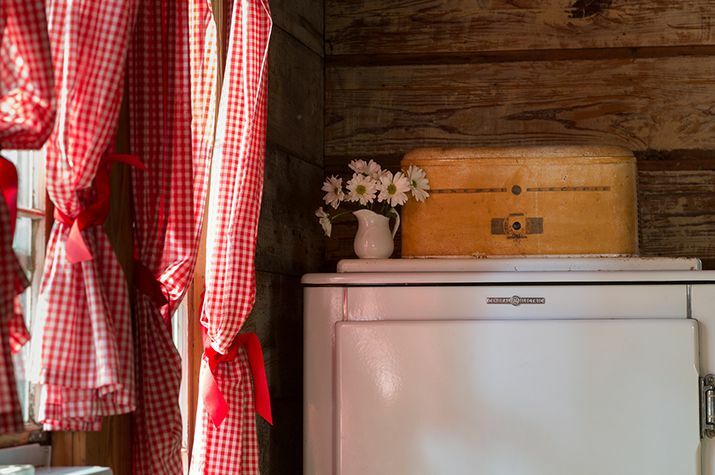 Fully furnished kitchen includes an antique gas stove and oven, farm table, and a working 1926 refrigerator, therefore a very small freezer compartment. 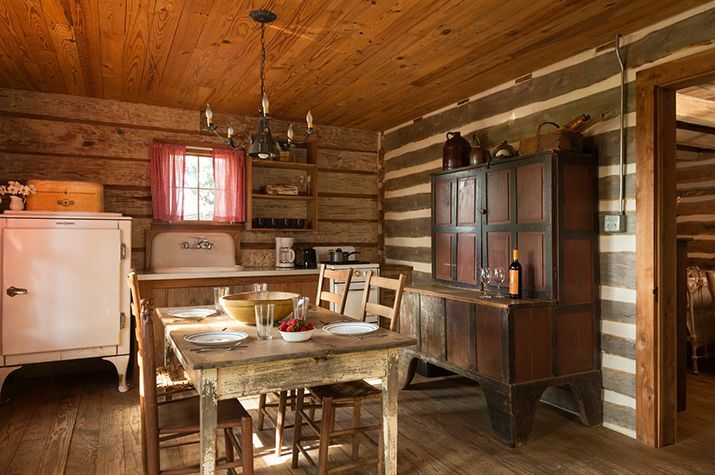 The Log Cabin is near the barn area, not secluded, and you’ll be right in the midst of our real working ranch. Great for people who love dogs and don’t mind hearing some barking. 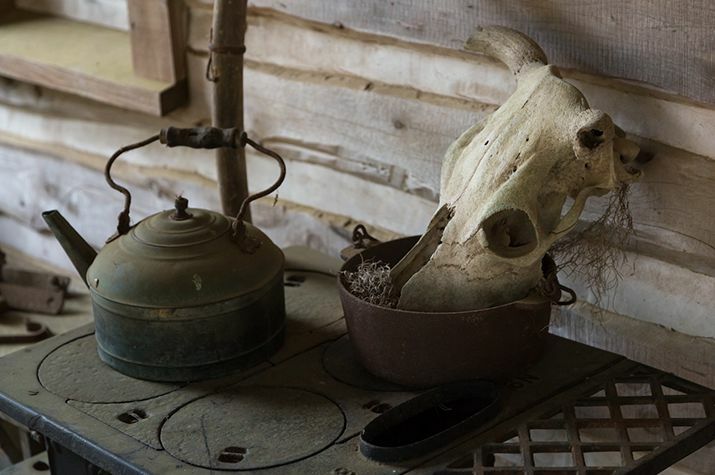 A true Texas Ranch experience.